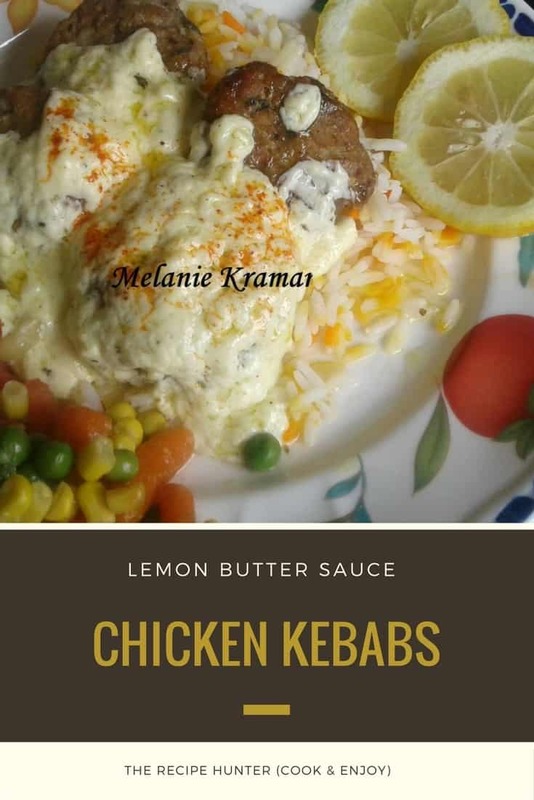 Very seldom that I make chicken kebabs, but these Chicken Kebabs in Lemon Butter Sauce is gaining such popularity I simply just had to try them. I’m glad I did, it was delicious. Mix all ingredients till well combined. Shape into kebabs with oiled hands. Drizzle some oil in non-stick pan. Pour lemon butter sauce over.